Beginning BasketWeave Dishcloth – That's StitchTastic! It has been a while since I have typed to you all. I think I have finally become comfortable with the fact that I have too much going on to try to update here regularly. But I do have a few exciting things happening that I wanted to share! This Saturday, September 14th, I will begin teaching again! 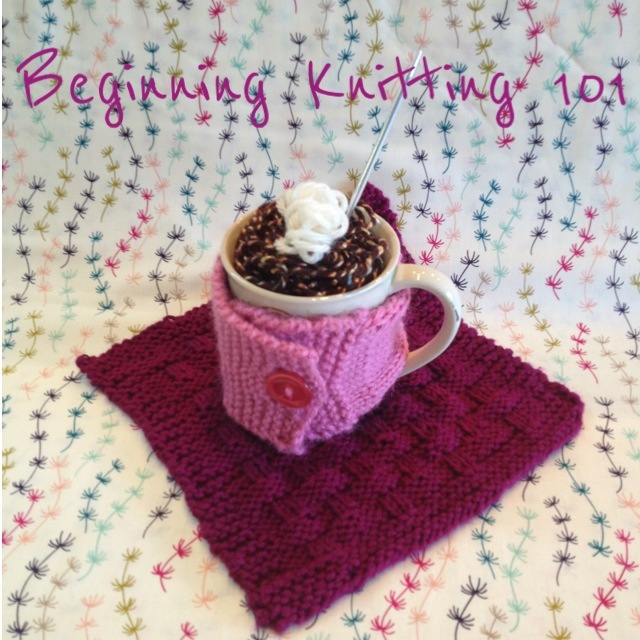 My Beginning Knitting 101 class will be at Owl and Drum in Tulsa. It is a 2 part class. Saturday September 14th and Saturday September 21st at 11 am – 12:30 pm. I am so excited and I have been working hard in my scarce, spare time to prepare. One of the things I have done is write a pattern for a second project for my beginning knitting class: A BasketWeave Cloth for Beginners. Some beginners can be intimidated by using the knit stitch and the purl stitch in the same row to create patterns. Also, they can be a bit intimidated at reading and following a pattern. This pattern was written to ease beginners into knitting a project that might be a little more complicated, hopefully to give them some confidence! I just had the pattern tested, thanks to some lovely ladies in the Ravelry.com Testing Pool, and the feedback was very positive. I have not put all the finishing touches, like a nice photo, on the pattern. But I want to share the pattern anyway, because honestly I don’t know when I will get a chance to finish formatting it! When I do I will update the pattern and the embedded pattern here. So…. Here is a free pattern for you! You can preview the pattern below or click on the link for the full version.